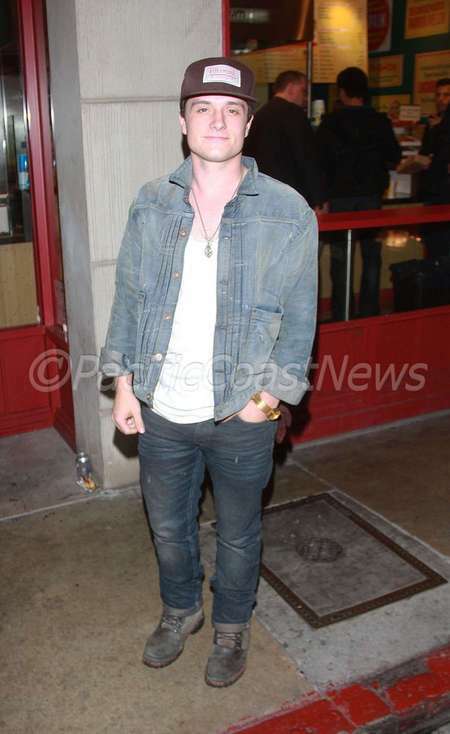 The Hunger Games hunk Josh Hutcherson was seen working the double denim look outside Sayers Club in Hollywood- yep the same club where we spotted this hottie in a Canadian Tuxedo, and from where Lindsay Lohan recently fled from her latest hit and run. This entry was posted on Monday, March 19th, 2012 at 10:47 pm	and tagged with Canadian Tuxedo, Denim, Denim on Denim, double denim, Fashion, Hollywood, Josh Hutcherson, Lindsay Lohan, Los Angeles, The Hunger Games, The Sayers Club and posted in In The Wild. You can follow any responses to this entry through the RSS 2.0 feed.